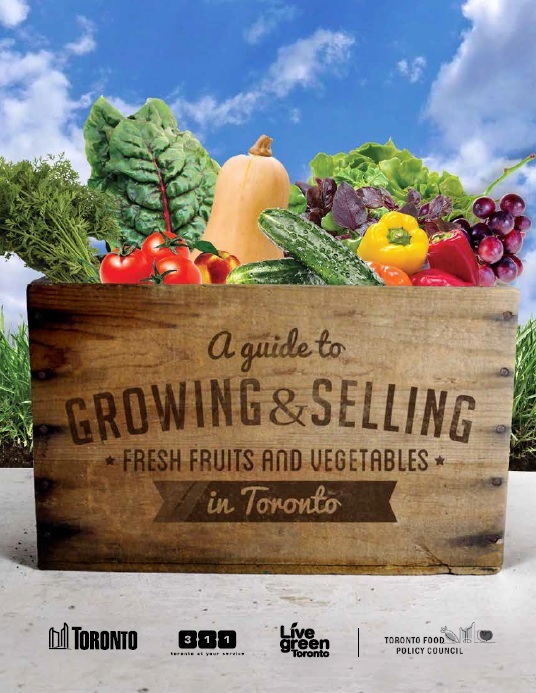 More and more people are interested in growing food not only for their own consumption but to sell to others.This guide explores the issues related to growing and selling fruit and vegetables, providing answers to common questions, presenting key information about rules, regulations, health and safety, and offering inspirational stories of successes achieved and opportunities seized! 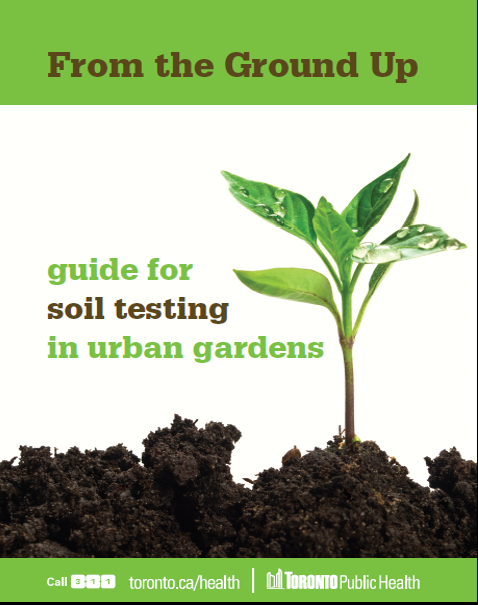 This guide is for people who want to start an urban garden and want to get more information about the safety of their soil. It helps you assess the level of concern, research the history of your site, test the soil and take actions to reduce risk. The GrowTO process launched in 2011 and consisting of four moderated discussions and two action-planning sessions designed to explore in-depth the issues identified in the Scaling up paper. 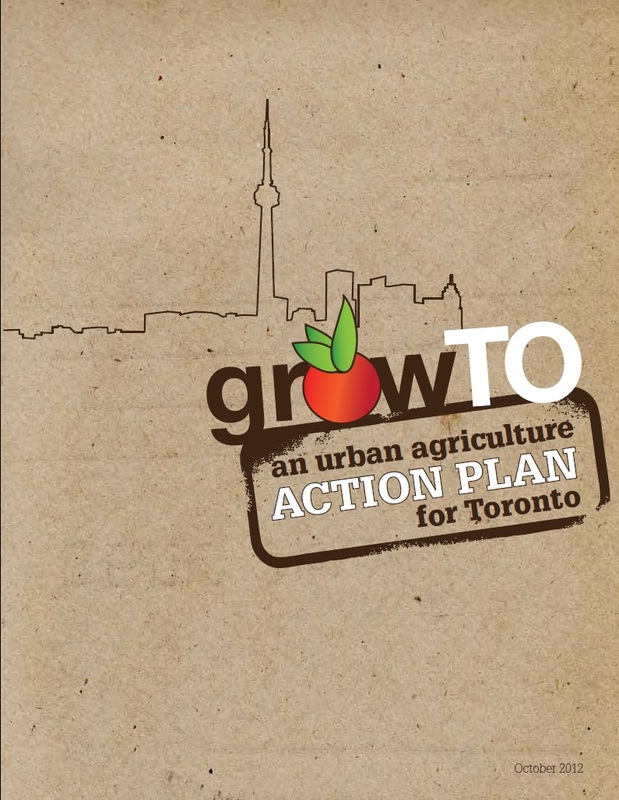 The result was 2012 GrowTO Urban Agriculture Action Plan. 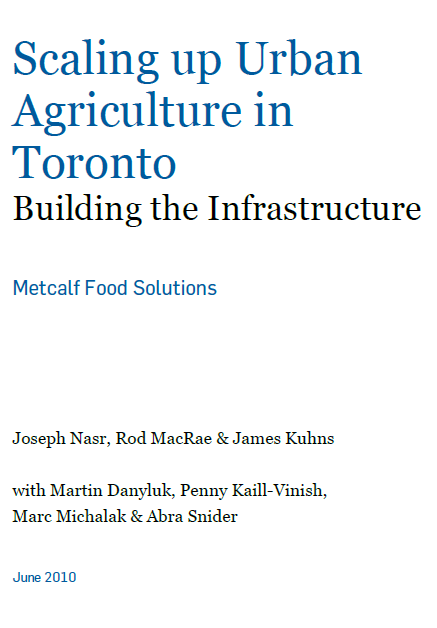 In 2010 the Metcalf Foundation published Scaling Up Urban Agriculture in Toronto: Building the Infrastructure, outlining key opportunities and barriers to growing food in Toronto. Five areas of urban agriculture infrastructure are identified with 38 recommendations being made on how to build a firm foundation for expanding urban agriculture in Toronto. Could Toronto provide 10% of its fresh vegetable requirements from within its own boundaries? The term “food system” is commonly defined as the complex set of activities and relationships related to every aspect of the food cycle, including production, processing, distribution, marketing, retail, preparation, consumption and disposal. Food system thinking is a way of seeing the bigger picture, of developing solutions to food problems by seeing and leveraging their connections to other health, social, economic, and environmental issues. This report, and the Food Strategy project overall, is founded upon the idea that the food system should be health-focused. A health-focused food system nourishes the environment, protects against climate change, promotes social justice, creates local and diverse economic development, builds community and much more.